Yes, Democrats will pick up seats in the Lege this election. The question is how many seats. Texas political experts expect Democrats will gain at least seven House seats. “If the Democrats don’t get to 55 seats or more, the party has committed malpractice,” said GOP campaign consultant Eric Bearse. Most of the competitive legislative races feature state House races. 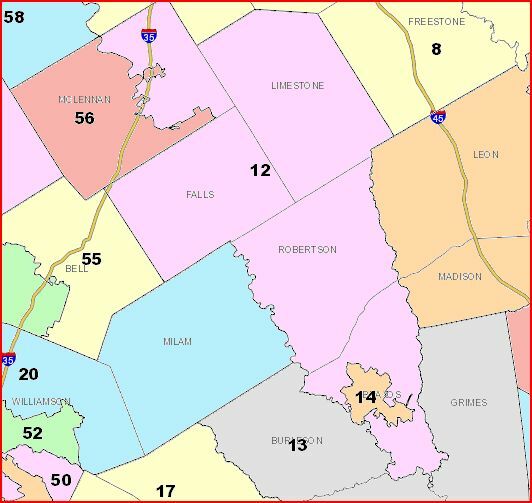 The lone state Senate seat in play involves a Fort Worth area district with Democratic incumbent Sen. Wendy Davis battling Republican state Rep. Mark Shelton. The GOP holds 19 of the Senate’s 31 seats. Changing demographics should help Democrats narrow the gap in coming years, but GOP-directed redistricting last year created only about a dozen swing House districts this fall. 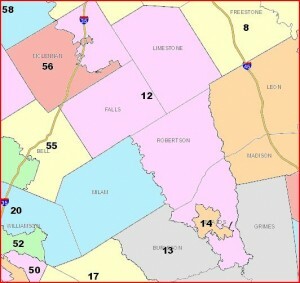 Rep. Lyle Larson, R-San Antonio, a member of Texas Republican Representatives Campaign Committee, estimates his party will lose between seven and nine seats. 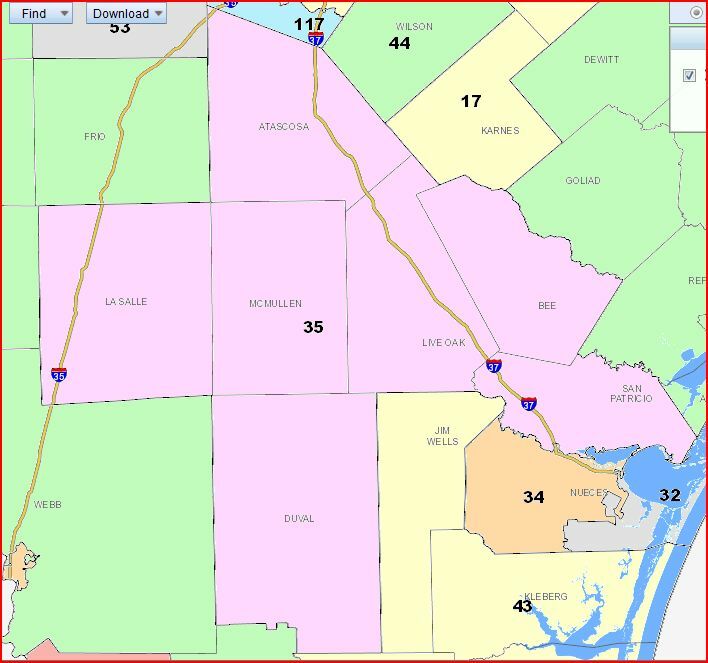 The four toughest seats for GOP incumbents to keep, according to Larson are: Rep. Connie Scott of Corpus Christi, Rep. J.M. 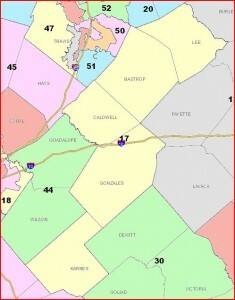 Lozano of Kingsville, Rep. Dee Margo of El Paso and Rep. John Garza of San Antonio. All won their seats in 2010. Scott, Lozano and Margo each face a former Democratic House member. Scott and Margo face the same opponents they defeated in 2010. Lozano flipped from Democrat to Republican last year. Rep. Trey Martinez Fischer, chairman of the House Mexican American Legislative Caucus, believes Democrats will gain between seven and 14 House seats next month. He also expects more Hispanics to win House seats in the 2014 election, which will again have new boundaries. 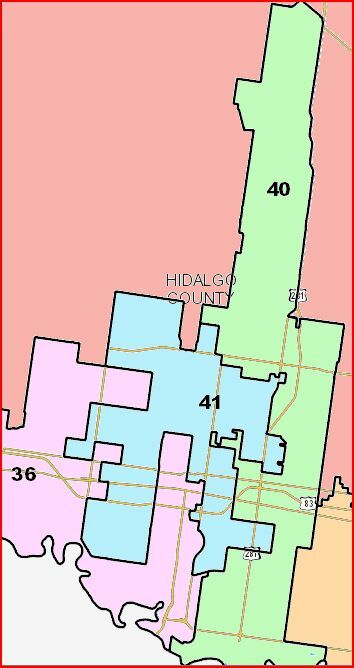 “Artful” and “skillful” are two words that can describe the redistricting effort. “Illegal” and “discriminatory” also work. I did my own analysis on this last month. Note that I miscounted the Democratic caucus – I thought it was 47 after Rep. Lozano’s switch, not 48, so add one to my totals where appropriate. Given that the Dems have already effectively picked up three seats, I think seven is a fair minimum, and I concur with Rep. Larson’s assessment of the most vulnerable incumbents. Fourteen is a bit of a stretch, but ten is a reasonably optimistic goal. As Rep. Martinez-Fischer notes, there will be other opportunities in 2014 when the next map is in place. Carolyn Boyle, founder and chairman of the pro-public education Texas Parent PAC, said the public education funding issue has generated considerable enthusiasm among the organization’s financial donors. “Candidates who are canvassing (neighborhoods) are telling us it’s the top issue as they go door-to-door talking to people,” Boyle said. Democrats would certainly like this election to be as much about education as possible. The success Democrats had in 2006 and 2008 in picking up Republican-held seats was due in large part to then-Speaker Craddick’s hostility to public education. Opposition to vouchers drove a lot of that, too, though apparently no one told Dan Patrick about that. Be that as it may, the Trib had a story a couple of weeks back about GOP freshmen touting their pro-education credentials on the campaign trail. It may not be till the 2014 election for the full effect of this to be felt, but I’m happy to be fighting on that turf in the meantime. 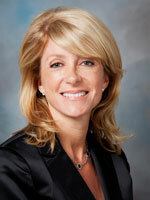 Democrats also hope to win back the seat of Rep. Sarah Davis, R-Houston. The freshman lawmaker defeated Democrat incumbent Ellen Cohen two years ago by 701 votes out of more than 51,000 ballots. 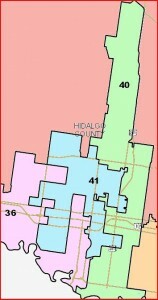 Davis now faces a challenge from attorney Ann Johnson in one of the districts fairly high on the Democrats’ target list. Bearse, who is working for Davis, is counting on her to prevail. The numbers make Rep. Davis a favorite to be re-elected, so much so that it’s rather surprising and a bit telling to see her “moderate” bona fides being touted. I’ll agree that Davis is a “moderate” in tone, by which I mean she’s too smart to say anything as obnoxiously ignorant as Debbie Riddle or Leo Berman are wont to do. But I would challenge Eric Bearse to name two bills of substance other than the sonogram bill on which Davis voted against her party. I can’t think of any. She voted for the House budget bill, which would have cut $10 billion from public education, she voted to cut family planning funding and to de-fund Planned Parenthood, and she voted for the “sanctuary cities” bill. In short, she was a loyal Republican. You’d think someone running in a 55%+ GOP district wouldn’t feel the need to talk that much about their “independence”. Two weeks till Early Voting begins. Psst! Hey, Peggy! 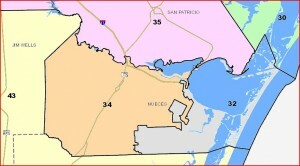 Rep. Kristi Thibaut represents HD133 here in Houston, not Galveston. Just FYI. 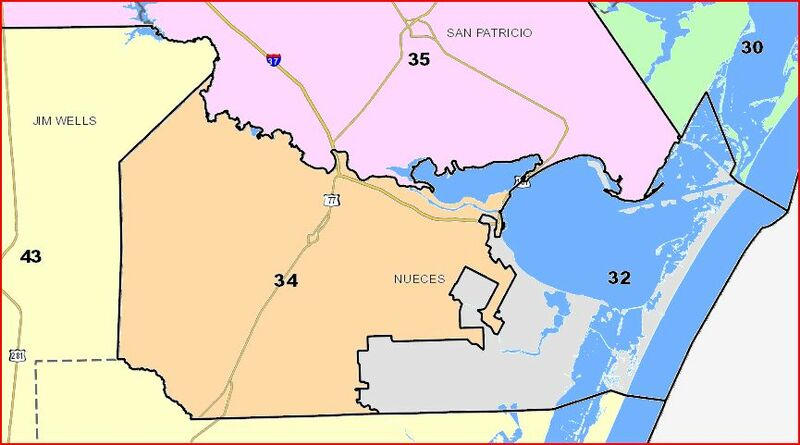 As for the news that the GOP will be targeting State Rep. Abel Herrero, given the 2008 partisan index of HD34, plus the apparent likelihood that the Dems are once again punting on the statewide races and don’t have much of a plan to engage their base in South Texas, it makes sense. On the other hand, Herrero performed pretty decently against a well-funded opponent (he had more money, but not that much more), and I don’t at this time see him as being in much danger; at least, I don’t see him as being in as much danger as some other Democrats. But if I were a Republican, I’d want to take a shot at him, even if I thought it was a long shot. 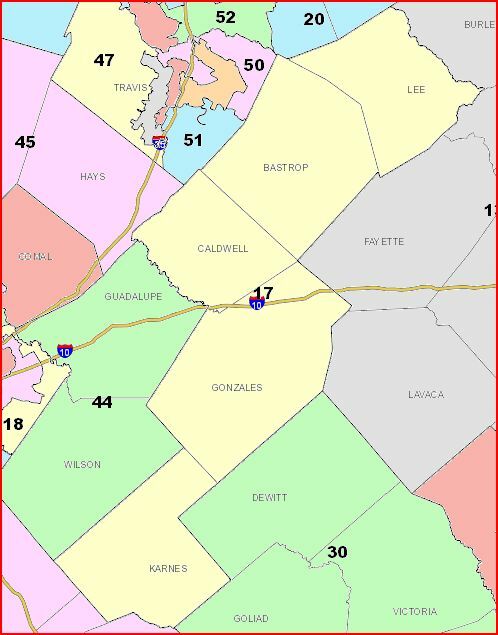 Republican State Rep. Charlie Geren may face another primary challenger. After taking Tom Craddick and James Leininger’s best shots, I doubt he’s seriously worried. Speaking of primaries, Democrat Eric Johnson boasts about raising over $100K in his effort to unseat State Rep. Terri Hodge. I think the verdict in the Dallas City Hall corruption case, for which Rep. Hodge has been indicted but not yet tried, will be the bigger determinant in his race than his fundraising, but it can’t hurt to have the resources to run. Empower Texans, one of the conservative agitprop groups in the state, wants to know if you think Sen. Hutchison should resign or not. Not sure why they think if she does resign it will “save taxpayers up to $30 million”, and I’m not sure why that’s her responsibility and not Governor Perry’s, since the cost of the special election is in part a function of the date he sets for it, but whatever. I don’t expect logic from these guys anyway. Was that Rasmussen poll that showed a KBH bounceback against Rick Perry a bogus result? Last week, the Press named Sheriff Adrian Garcia the Best Democrat, and County Judge Ed Emmett the Best Republican. I can’t argue with either of those choices. Mayoral candidate Gene Locke has recordings of numerous robocalls being made on his behalf by various elected officials that support his candidacy. I’ll say again, I think you ought to be spending your money on other forms of outreach, like mail – in this case, why not do these recorsings as radio ads – and save the robocalls for GOTV efforts. I say this as someone who generally hangs up on robocalls. Maybe I’m the exception here, I don’t know. But I suspect most people find these things more intrusive and annoying than anything else. Speaking of ads, Peter Brown is set to release his third TV ad tomorrow. I’ll post the video when I get it. So far, that’s Brown 3, Parker 1, Locke 0, and I haven’t seen Parker’s ad on the tube yet. Still wondering when we’ll see new poll numbers so we’ll know if Brown’s air war has moved anyone into his column.